Much has been made of craft brewing ideology – “give me liberty or give me death,” so to speak. So when “ownership” gets brought up, many are left red in the face. What does it mean to be “wholly owned and independently operated,” and what does it mean if a company is “wholly owned but not independently operated?” Also, why do we care? When a company is purchased by another, there are degrees of control that are relinquished or not. Some companies choose to relinquish both legal ownership and any input in day-to-day operations. This is a company that is wholly owned and operated by another. Others may choose to sell ownership rights but maintain the rights for day-to-day operation. This is a company that is wholly owned and independently operated, and one that has chosen to remain at the helm of the ship, so to speak. This decision to remain independently operated comes down to retaining a level of independence and personal identity in the creative process. If you are even more passionate about the art of brewing rather than the science of running a business, this may also qualify how much “soul” is in the product. For some, true independence can only be had in a DIY format, and this camp might further argue that no matter whether independently operated or not, relinquishing legal ownership to a parent company is equivalent to a lack of control. This may be true on a case-by-case basis. In some instances, “independently operated” may be no more than marketing jargon backed by a few legal documents. However, thinking in terms of “sides” itself is a somewhat limiting mode of thought. 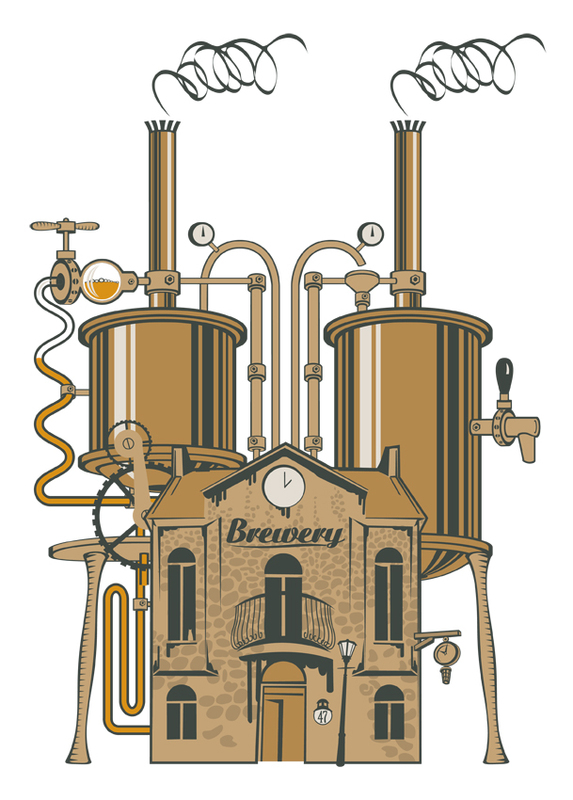 There are no longer just “big” and “small” breweries with clear lines of ownership. As in all strands of life, there are infinite pathways to success, all with unique terms. But the question remains – why would anyone or anything want to be owned? No party wants to be “owned,” and no one would simply agree to those terms. Therefore, assuming both parties have free will in the decision-making process, it would follow that this legal ownership is a partnership rooted in mutual benefit. Benefit could be quantified in terms of resources – distribution, marketing clout, creative inspiration, but ultimately, most can be traced back to time and finances. Take for example the case of Brouwerij Bosteels, which is now wholly owned by AB InBev after seven generations of family ownership. What would this family and company stand to gain from partnering with the largest brewing entity in the world? The answer is incredibly robust distribution and marketing infrastructure. Infrastructure takes money to build, surely, but moreover, it takes time. Thousands of individual relationships must be built and maintained. Perhaps the Bosteels family values its time in such a way that it would rather focus on its creative process than the myriad logistical entanglements that come with business infrastructure. What sacrifices does it require to engage in such a partnership? Money, for sure. Any company legally owned by another will contribute a portion of its profits back to the parent company. Generally though, the growth the parent company offers will offset any perceived financial losses. Depending on your beliefs, the greater sacrifice is one of ideological independence, which can be harder to gauge, and impossible to do so on anything but an individual level. Though some might disagree, it seems that the ideology behind the beer has not fundamentally changed. Brewing is more competitive than ever, and generational brands built on subtle quality rather than “flavor jackhammers” and shiny labels have an even tougher time reaching the consumer. If the creative ideals are upheld and kept within the family, then this company’s legal ownership by AB InBev is merely one of mutual benefit in terms of resources. Craft beer drinking is as much a statement of identity as the brewing element. In some senses, you are what you drink. So if you’re still unsure about what you truly value in terms of brewing ideals, this short “drinker’s personality test” might help. Imagine three IPAs from different breweries, all with identical recipes. “A” is from an independently owned and operated brewery, “B” is from a wholly owned and independently operated brewery, and “C” is from a wholly owned and operated brewery. Which would you choose? If you don’t care, then it doesn’t matter, but likely you would choose the most “independent” version. But wait! Though all brewed from the recipe, these beers are not all the same. One is brewed with pure soul but questionable quality and consistency, one is top notch in terms of quality but essentially a mechanical reproduction, and one is brewed with quality ingredients and by brewers who truly value the ideals behind their brand. To me, the last is the most likely choice, and this would be beer B. While craft is an eternally evolving descriptor, quality will always be at its heart, and decisions that ensure that we can drink a quality beer are consistent with that mentality. We should always value authenticity, but never at the expense of quality.